These homemade Oreo Reese's Fudge Brownies are thick, rich, and fudgy - just the way a brownie should be! 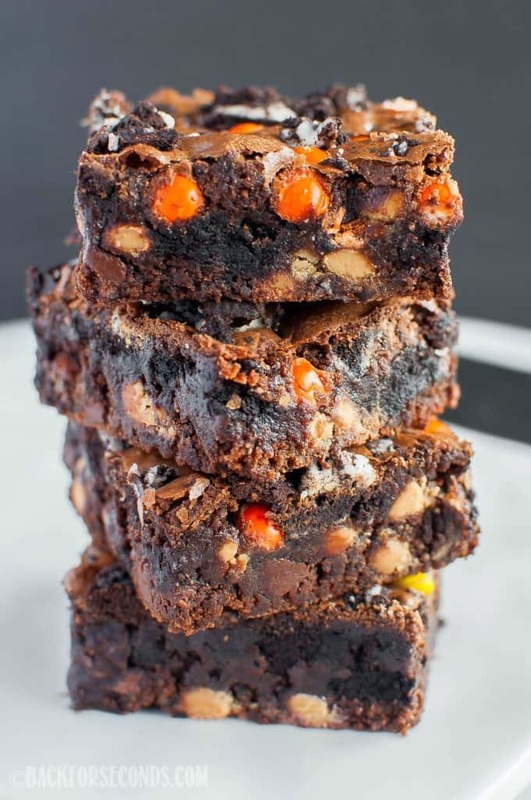 These make an easy Halloween dessert, too! In a mixing bowl stir together melted butter and cocoa until combined. Add sugars and salt and mix well. Stir in Oreos and Reese's Pieces, reserving a little to sprinkle on top. Spread into a greased 9x13" pan and sprinkle remaining cookies and candy over the top. Bake about 18-20 minutes or until tester comes out mostly clean with fudgy crumbs. Looks amazing! Will try for sure! 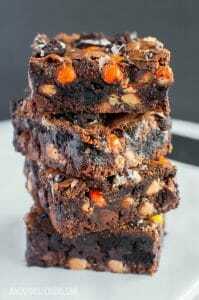 I made these brownies for Christmas, substituting mint M&Ms for the Reeses pieces. Delicious! 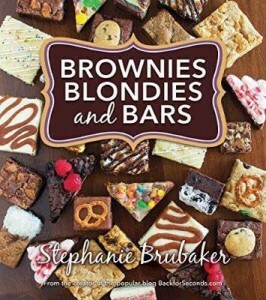 Everyone loved them and they were a nice change from cookies. I’ll definitely be making these again!